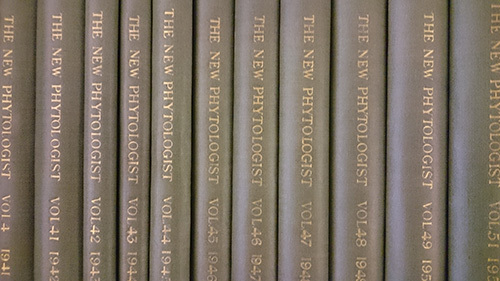 At New Phytologist we strive to offer the best possible service to our authors and readers. Our Central Office team and Editorial Board work hard to ensure that we offer a fast and rigorous peer review process, as well as a quick article production process for those articles that are accepted for publication. To this end, we are very pleased to announce that we have recently begun to publish ‘Accepted Articles’ via Wiley Online Library. Accepted Articles are articles that have not undergone full copy-editing and typesetting, and which are published in a simple PDF format. Although articles published under the Accepted Articles banner are not the ‘final’ article, and do not contain the full functionality of our finalised articles, we hope that they represent a valuable resource to the community and can be read, downloaded and cited using the article’s unique Digital Object Identifier (DOI). The final version of the article, which has been fully edited and typeset, and which can be considered to be the Version of Record, is published a few weeks after the Accepted Article version, with the same DOI, to ensure consistency throughout the process. We hope that this will serve as a useful service for authors who are keen to see their work published as quickly as possible, and for our readers, ensuring that they have access to the most up-to-date research with minimal delay. All article types with the exception of Editorials, Profiles and Commentaries will benefit from Accepted Article status. You can view the latest Accepted Articles here. You are welcome to direct any questions or comments you have on this service to me, via email. 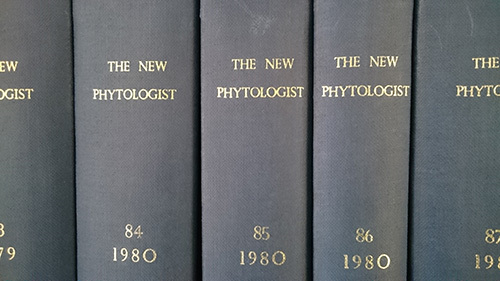 This entry was posted in Latest Posts, New Phytologist and tagged Accepted Articles, Digital Object Identifier, New Phytologist, plant science, publishing, Wiley. Bookmark the permalink.